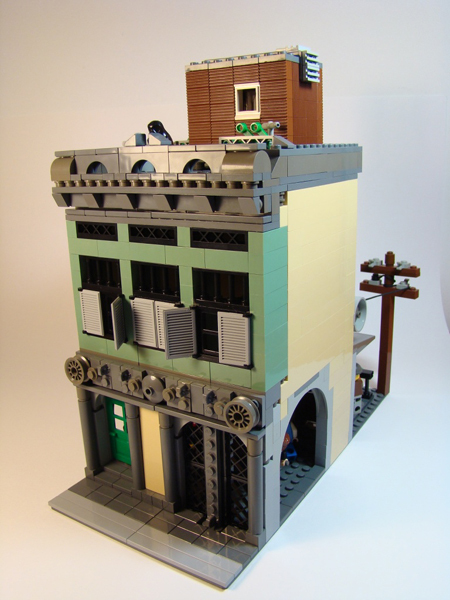 Brick Town Talk: Workshop of engines of aeroplanes - LEGO Town, Architecture, Building Tips, Inspiration Ideas, and more! Loving the details on the roof. It is a great building module Roger! It was also a surprise to see it after so long ;).